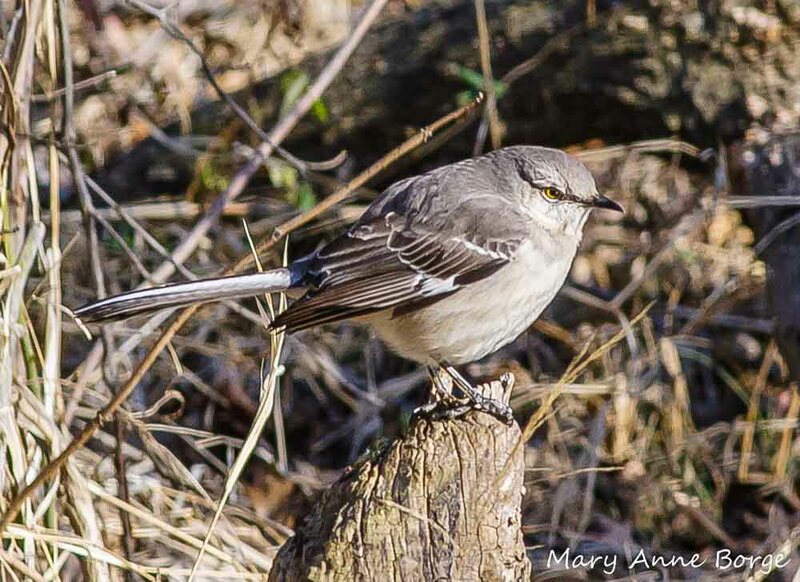 What will birds and other animals do for food, now that we’re entering the long winter months? They’ll still be foraging for protein in the form of insects, but the supply will be much less plentiful than in the warmer months when many more insects are active. 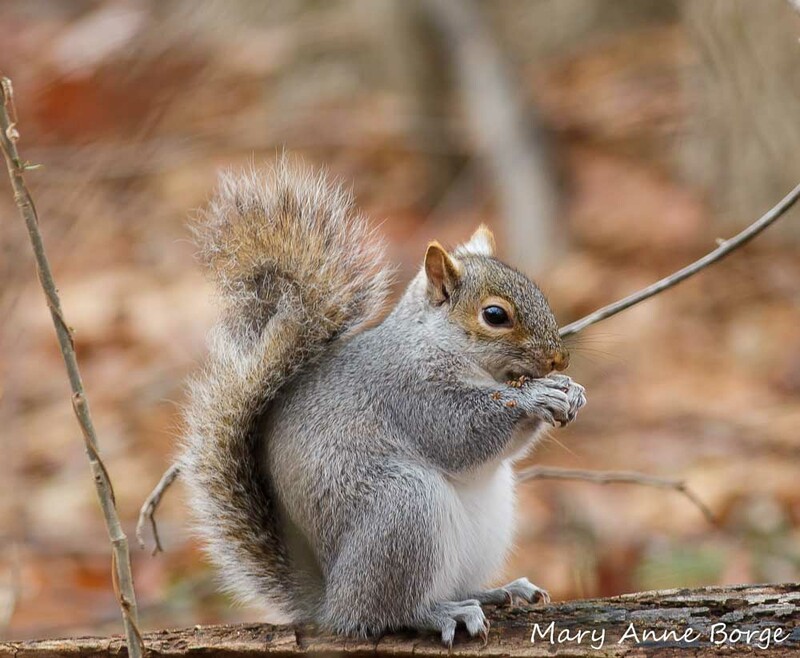 Ground feeders will forage among the fallen leaves, while others will investigate branches and probe bark crevices of trees and shrubs for a meal. 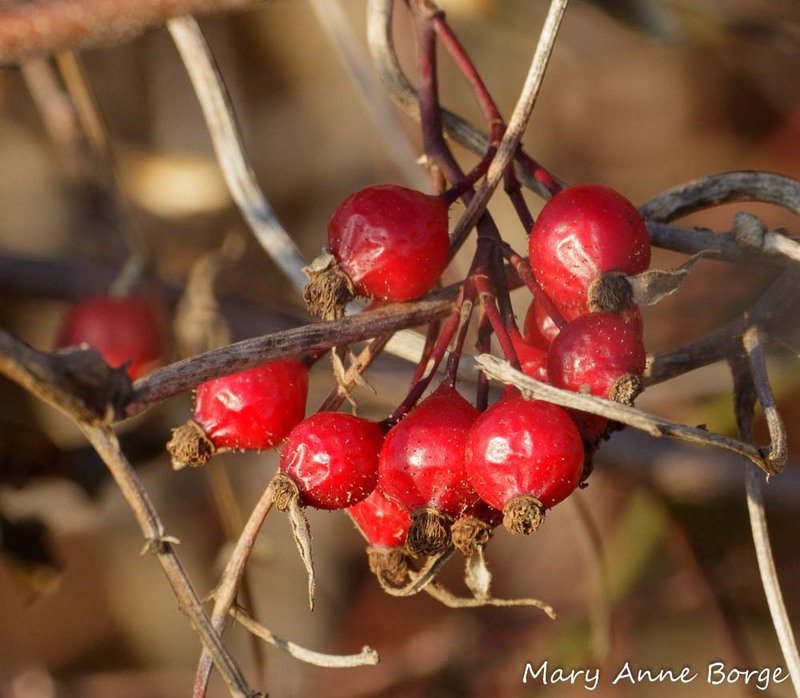 Hips of Swamp Rose (Rosa palustris). 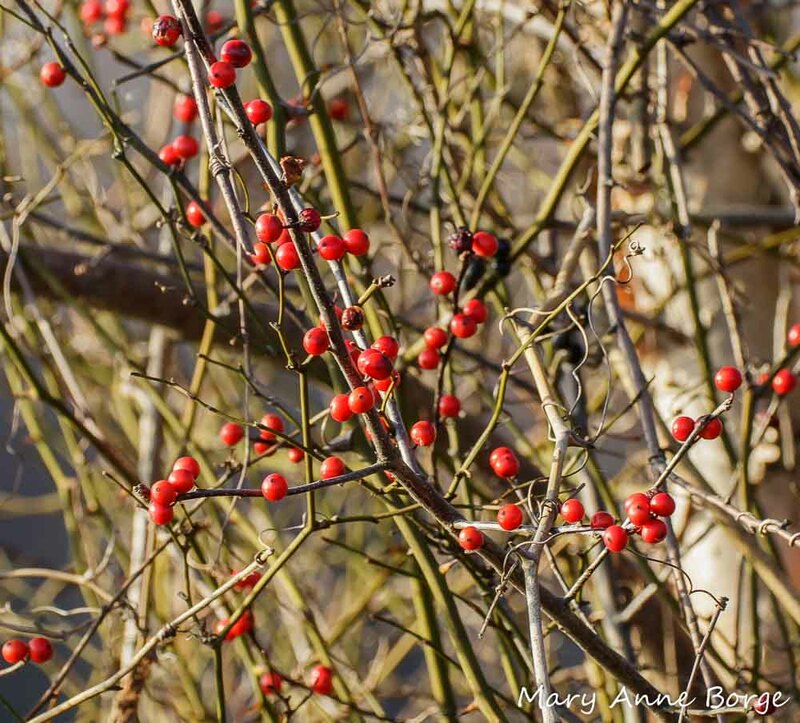 Rose hips are rich in vitamin C. The hips of some rose species are used in teas. Hips of Swamp Rose (Rosa palustris). 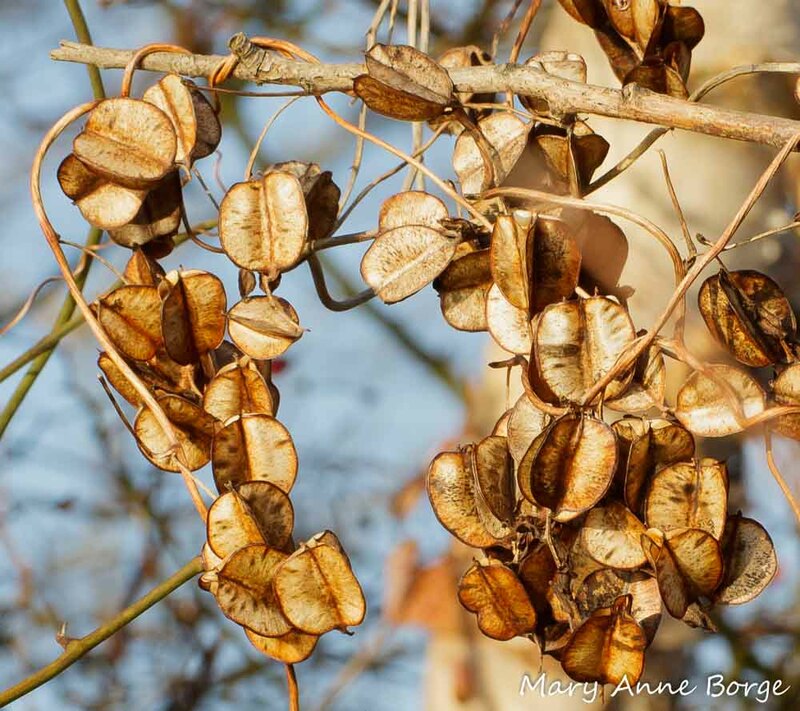 and a cascade of Wild Yam (Dioscorea villosa) fruit capsules. 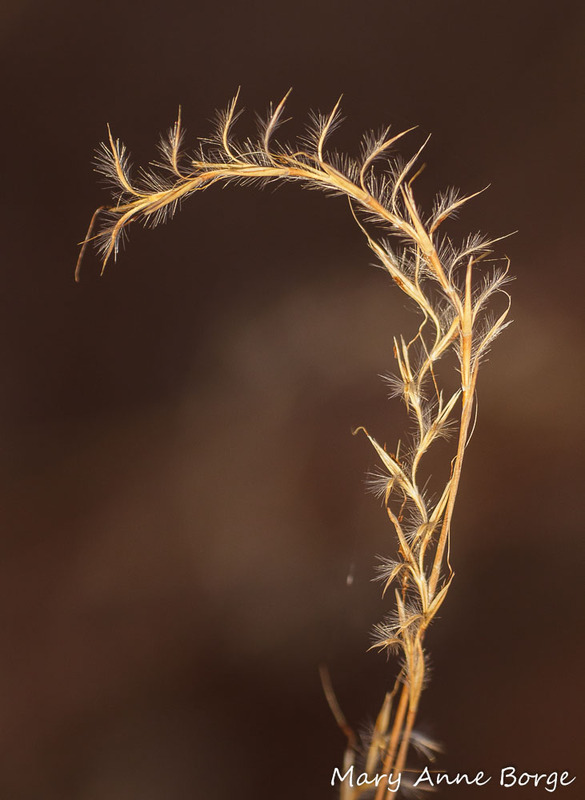 Little Bluestem (Schizachyrium scoparium) fluttered in the breeze a bit further down the trail. 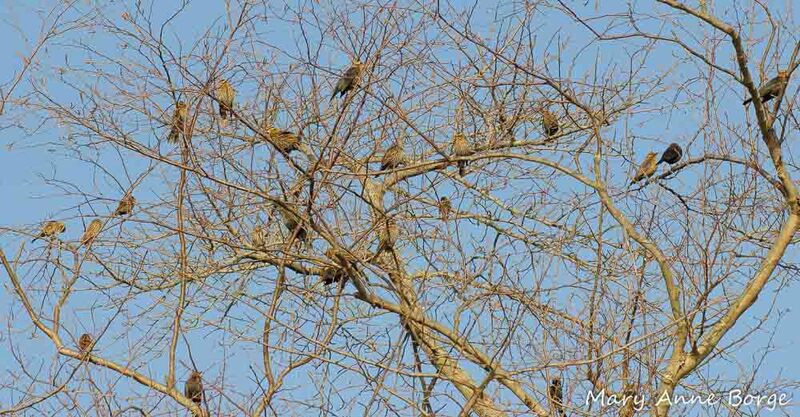 A mixed flock of migrating Red-winged and Rusty Blackbirds paused in the bare branches of trees overlooking the feast, to rest and refuel before continuing their journey. 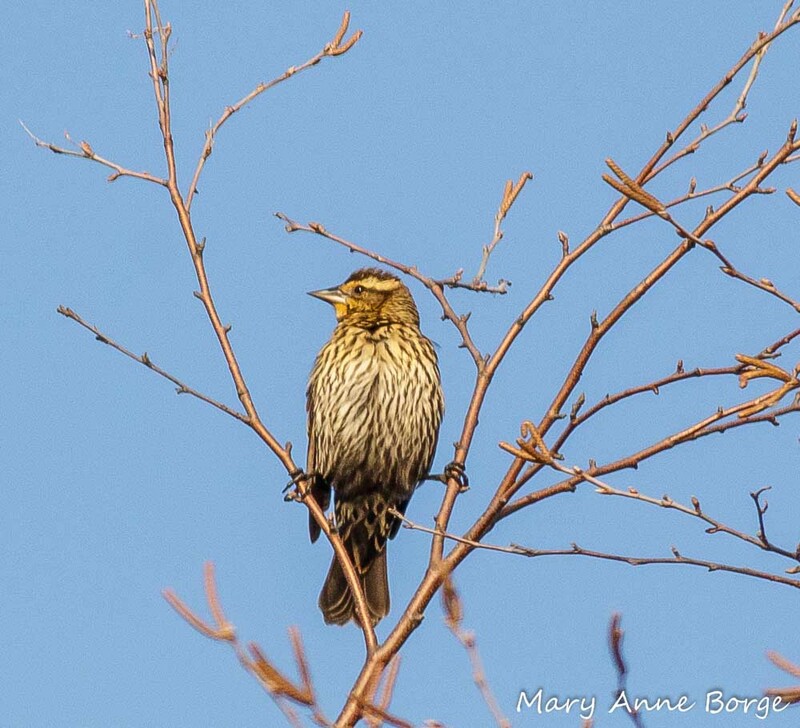 This entry was posted in Birds, Native Plants and tagged Abbott Marshlands, Hamilton-Trenton-Bordentown Marsh, nature, Nature in Winter by Mary Anne Borge. Bookmark the permalink. How I love your posts! Thank you. I always share them on the Facebook page for the land trust I work for, French and Pickering Creeks Conservation Trust. Thank you, Donna! And thanks for sharing my posts. The seedheads on my Echinacea are really valuable to Goldfinches that seem to lose their color and hang out with the sparrows in the winter. Many clusters of the seeds will also feed the finches that return in Spring. 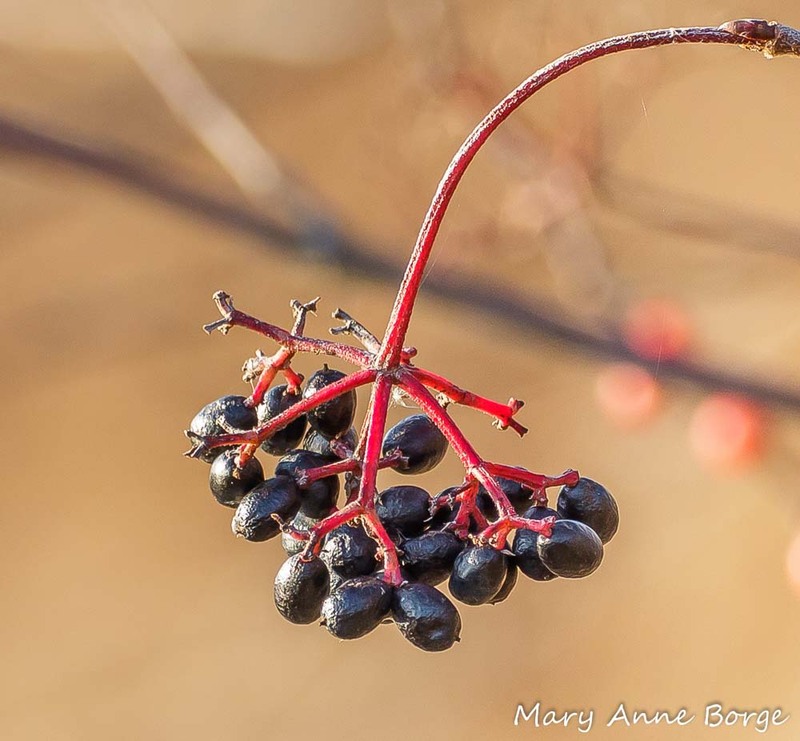 Persistent fruits on my Cranberry Bush Viburnum are really pretty but they don’t get eaten until the Spring. My apple tree still has fruits on the ground and every day I see rabbits, squirrels, opossums, and even chipmunks on warm days eating them. It is funny to see a small red squirrel carrying a large apple in its teeth up a tree and then hold it in its front paws and chew on it like a person would. In my yard, Goldfinches, Chickadees and even Juncos forage on the seed heads of plants, including Purple Giant Hyssop and Elephant’s Foot. The Goldfinches are in their winter plumage, much less showy than their breeding plumage. If you watch, you’ll see birds foraging for insects on branches and bark, and in the fallen leaves, where many insects spend the winter. 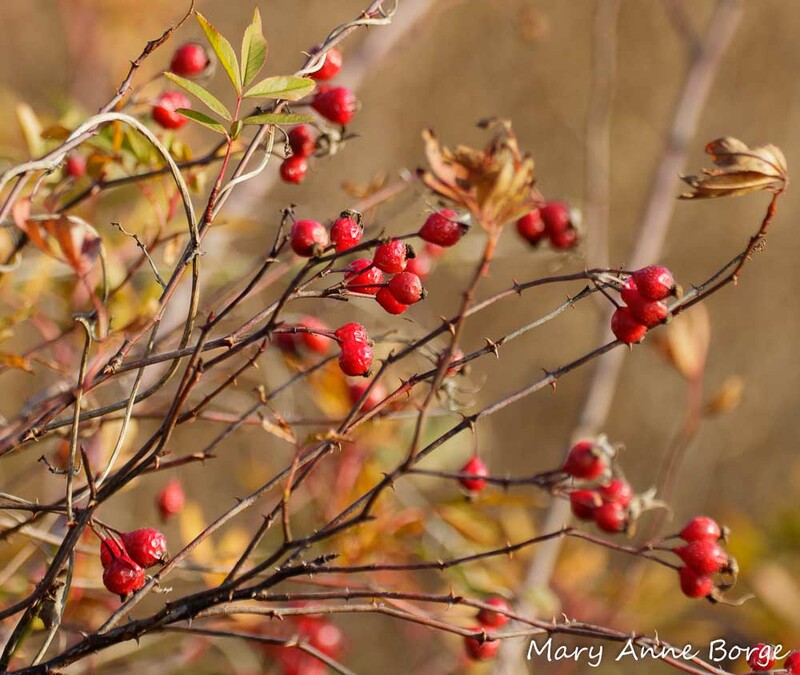 The nutrient composition of Cranberrybush Viburnum makes it less desirable in the fall and early winter, more desirable in late winter. This works out for the birds, since they’ll have a food crop that is still available late in the season. 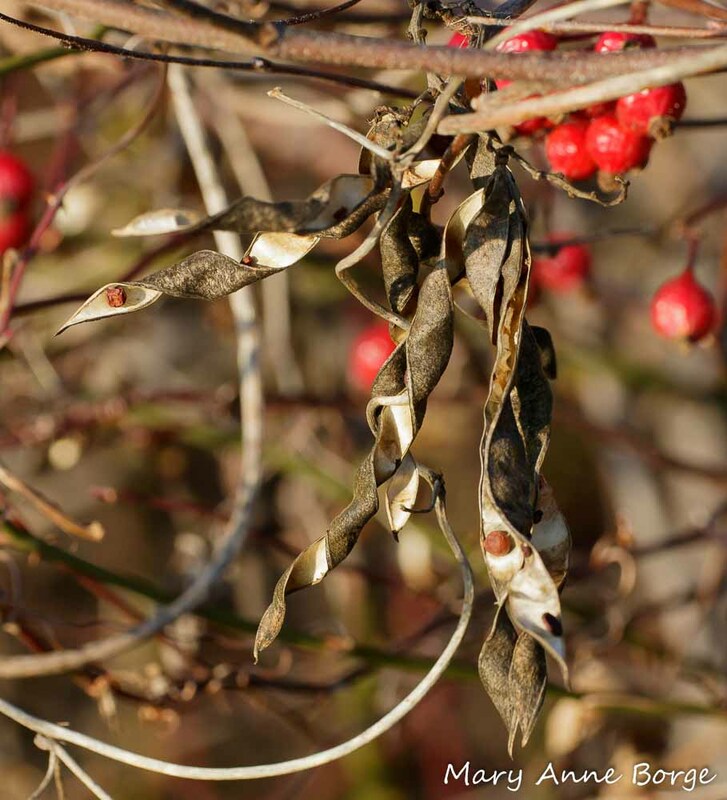 It works out for Cranberrybush, because it has less competition for the birds’ attention, so it increases the chance of seed dispersal. A win-win! It is so much fun to watch the animals we share our space with. Yesterday a gray squirrel left us a ‘gift’ of a black walnut, by stashing it in the corner next to our front door! Yesterday I saw a bush with fuschia-colored berries and roundish leaves on the right side of the drive up to the Bowman’s visitor’s center. It was just after the open gate with the deer grate. The berries were REALLY bright and plentiful. Do you know what they might be? It was probably Indian Current, a.k.a. Coralberry (Symphoricarpos orbiculatus) I would have called it Magenta berry! The flowers are inconspicuous, but the fruit is fabulous in its showiness. Every species has its moment! 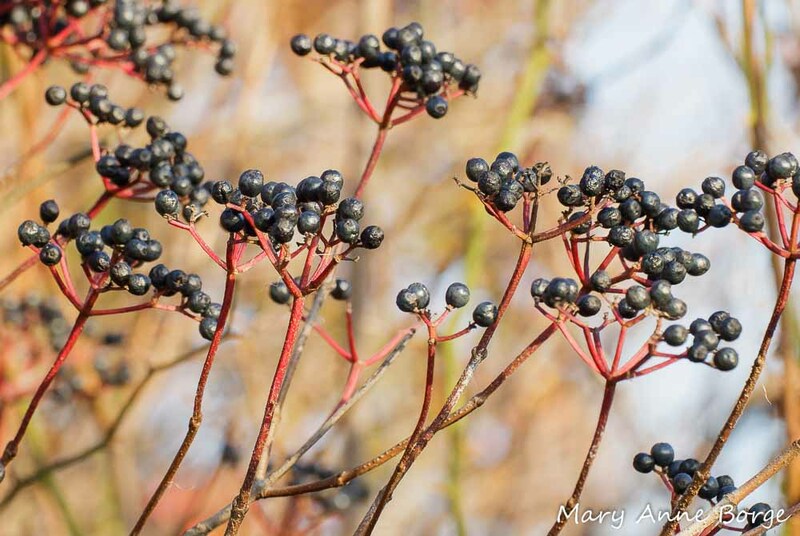 Your December bounty post reminds me how important it is to continue to manage my wildflower garden. It is a great pleasure. I like the photo on your post. Kudos to Jeff. The more habitat we preserve and provide around us, the more the animals with which we share our neighborhoods will thrive. Keep up the good work!